Did you have a busy day at work? Are you tired? Do you just want to watch your favorite Monday night TV show? Do you want something tasty and mess free for dinner? Let me tell you about the Hobo dinner. 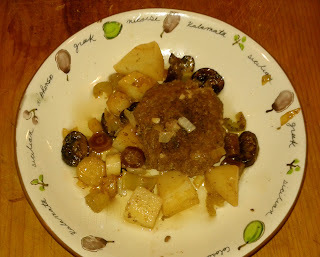 The hobo dinner is something that I learned from my grandmother, when I was very young in Scottsburg, Indiana. It's one of those fast, easy and satisfying meals, perfect for a school night or a work night. It's also easy to adapt for a summer camp out. 1 rib of celery, my grandmother never used celery but I like to experiment with different vegetables like celery and mushrooms. You can too. aluminum foil torn into squares, big enough to fit a 1/4 pound patty and the veggies. 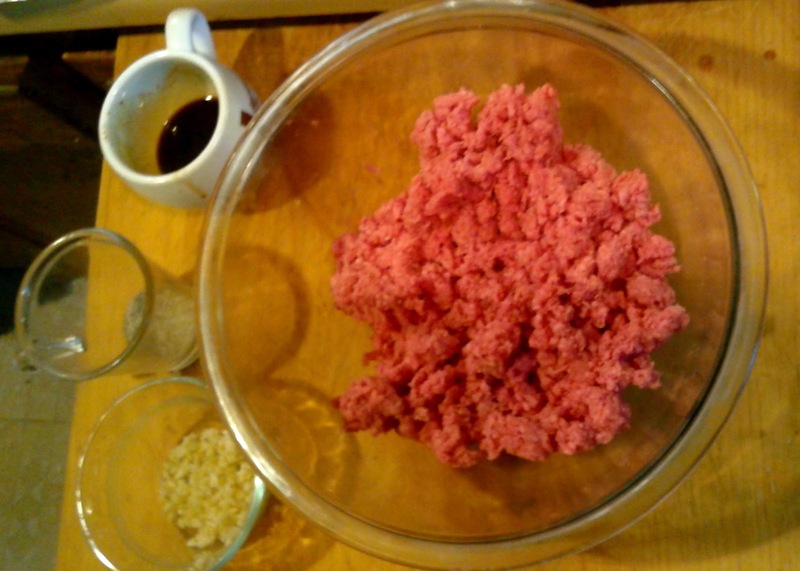 Place ground beef in a bowl. 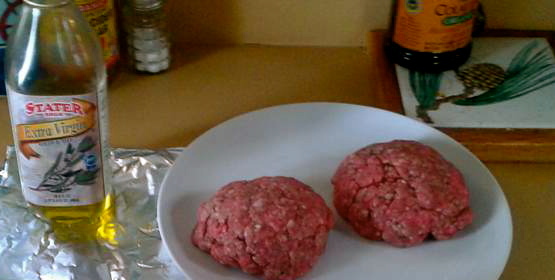 Add salt, pepper, minced garlic (using garlic power is okay too), worcestershire sauce. Mix well. Place one patty onto one square of aluminum foil, add vegetables, olive oil, salt and pepper. Fold into tents, place on baking sheet, put into oven and bake for 45 minutes. Remove from oven, carefully open the tents being aware that the steam may be hot. 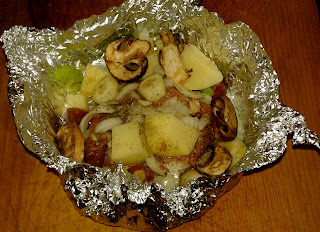 Use a serving spoon and spoon onto a plate or if you are feeling campy then you can eat it right out of the aluminum tent. I like a little ketchup with mine but you can choose the condiment or choice, mustard, mayo even sriracha. Enjoy a hobo dinner in the comfort of your home, in the woods, at the beach or anywhere you want a fast and tasty meal without a lot of mess. I am from the south and there's nothing I like better than a classic soul food dinner. This is not a small undertaking. 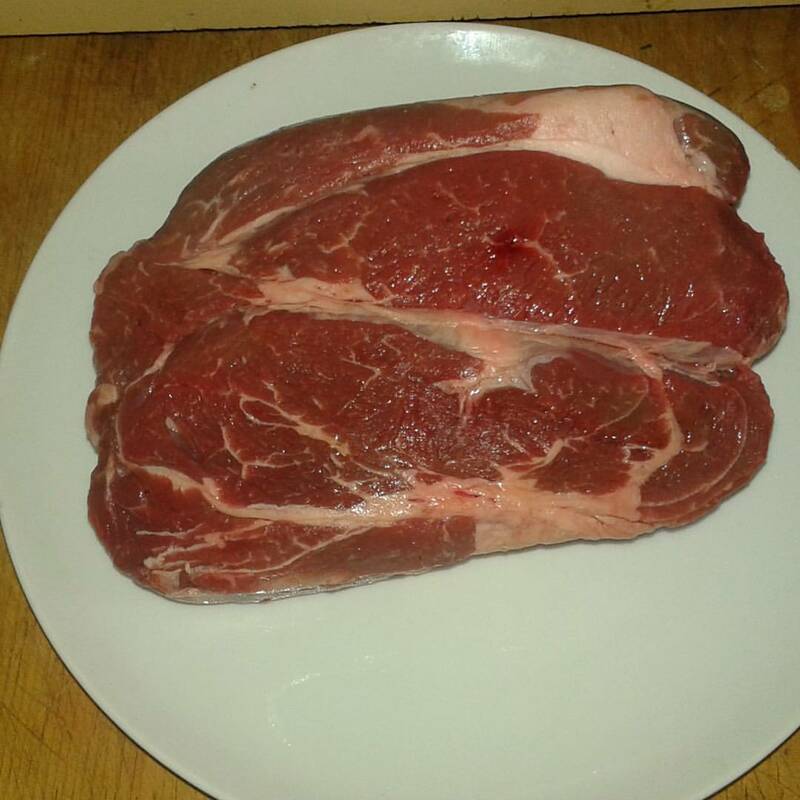 Plan to spend a large part of the day preparing this meal. It may be time consuming but the results are well worth the effort. My southern soul food menu includes buttermilk fried chicken, collard greens and baked macaroni and cheese. Start by prepping the chicken. I prefer using legs and thighs. They cook quicker and stay moist. 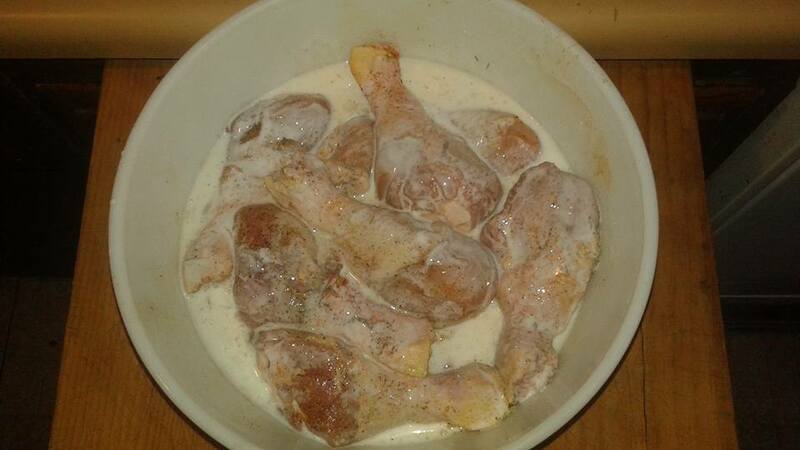 Season the chicken with seasoning, place in bowl and cover with buttermilk. 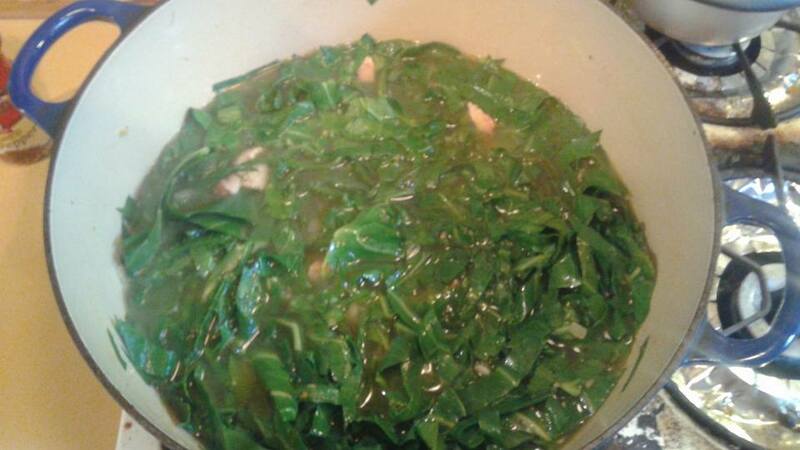 While the chicken is marinating, start prepping the collard greens. 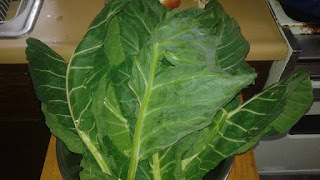 Collards are in the radicchio family and high in vitamins. Choose greens with no blemishes, big, full and bright green leaves. Use 4 big bunches of collard greens. If you have a stainless steel sink, clean it very well, fill it with cold water, rinse and wash the greens. Do it a few times to make sure all the dirt is removed. After washing, cut the stem down the middle. If you want you can use the stem. I prefer to use the leaves only and I put the stems outside for the squirrels. 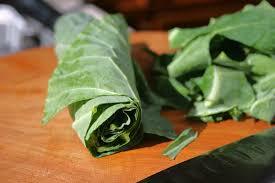 Roll the leaves up, like a cigar and cut them into strips. 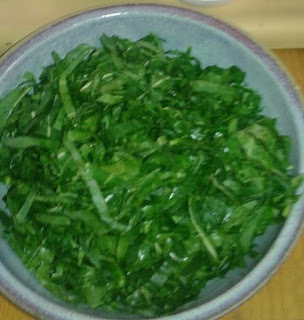 Put the chopped greens into a bowl. 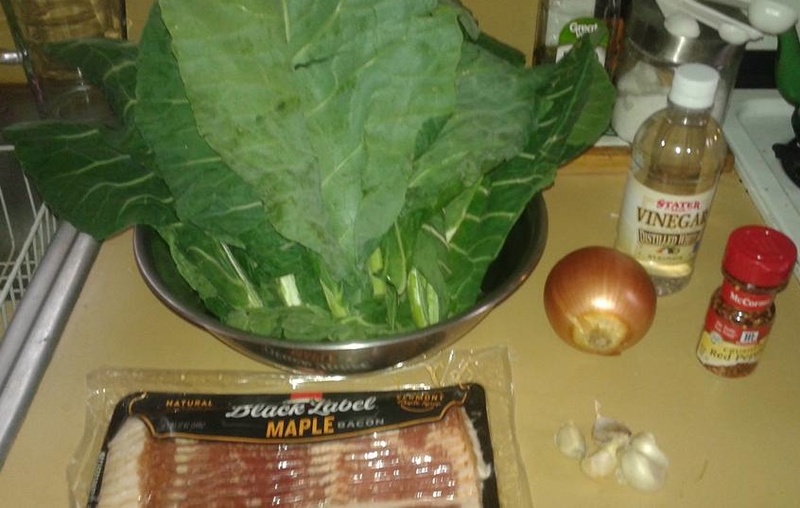 Now it time it's time to start cooking the greens. Here's what you need. Render the bacon in a dutch over. 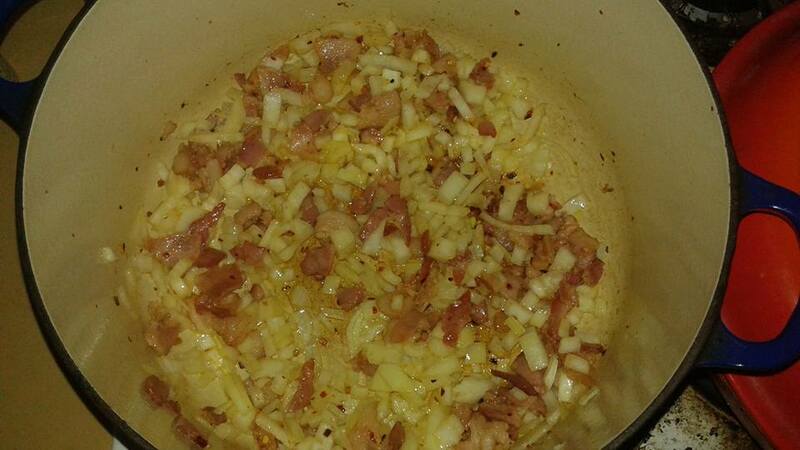 Cook until the bacon is golden brown. 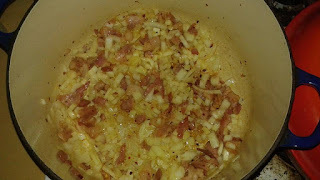 Then add onions, garlic and 1 tablespoon of crushed red pepper. 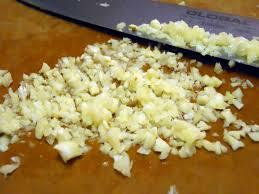 Cook until onions are translucent. Now add your greens, a handful at time, so as not to overload the pot. The greens will reduce in size. Now add white vinegar and stir to combine. Next, add the chicken broth until greens are almost completely covered. Add salt, pepper and additional crushed red pepper. Simmer covered, on top of stove for 3 to 4 hours. Stir occasionally and taste to check for seasoning and consistency. 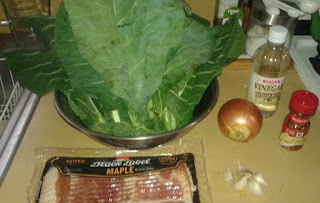 While the collards are cooking, it's time to start the mac and cheese. Bring a large pot of salted water to a boil. Cook the pasta until al dente (about 9 minutes). The pasta will cook more in the oven and you don't want to overcook it. Do not add oil to the water. This is a common mistake. Oil can prevent pasta from sticking but it also makes the pasta oily and doesn't allow the flavor to be absorbed. Just use a fork or wooden spoon to stir the pasta, while it's cooking, to prevent sticking. 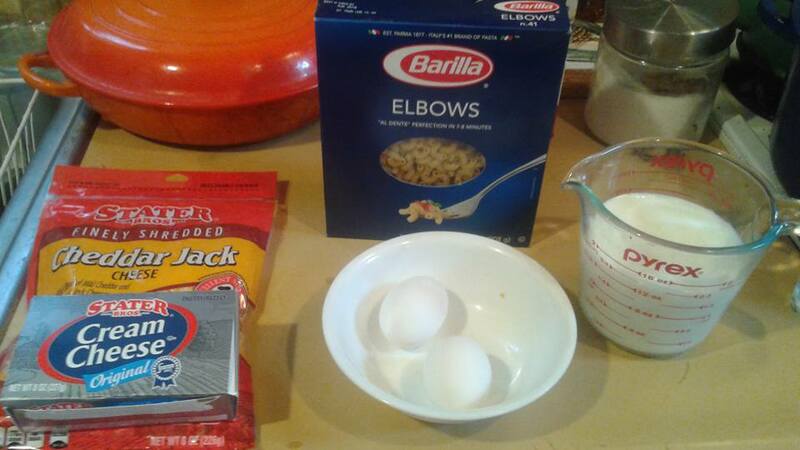 While elbows are cooking--cut the cream cheese into small, mixable squares. Beat the two eggs until frothy. When elbows are done, drain and return them to pan off of heat. Add the cream cheese. Stir the cream cheese until it melts, in the hot pasta. 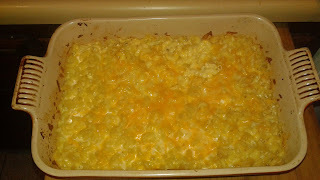 Now, slowly add the milk and most of the shredded cheese, reserving about 1/4 cup of the shredded cheese for later. Mix well until all ingredients are fully incorporated. Pour mixture into a lightly greased baking pan. Bake at 350 degrees for 45 minutes. About 15 minutes, before mac and cheese is done, add the remaining 1/4 cup of shredded cheese to the top. Remove from oven and it should look like cheesy, gooey goodness. You can keep it in the oven, on warm covered with foil, until ready to serve. Now it's time to fry chicken. Remember--that chicken marinating in the refrigerator. Well, take it out. Put the flour and seasoning into a bowl. Mix well. Put some of flour mixture on a plate and then add the chicken a piece at a time. Set breaded chicken aside on a separate plate. Once you have coated all the chicken then add oil to frying pan. Heat oil until it sizzles. I prefer to cook legs and thighs in separate pans because they cook differently. Use a regular or enameled a cast iron pan for best results. I use both. 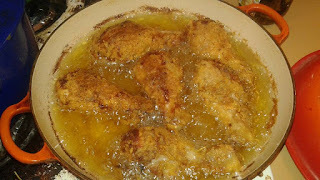 Fry the chicken in the hot oil for about 10 minutes then flip it and fry for 10 minutes on the other side. Continue cooking for another 10 to 15 minutes, turning occasionally, so as not to burn it. Chicken is done when golden brown and it reaches an internal temp of 165 degrees. A chef's thermometer is helpful to check for doneness. 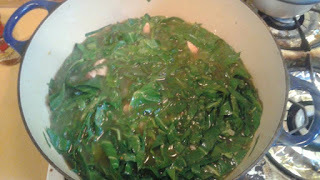 By now, the collard greens should be done. I hope you've been checking on them. I did tell you to check occasionally. 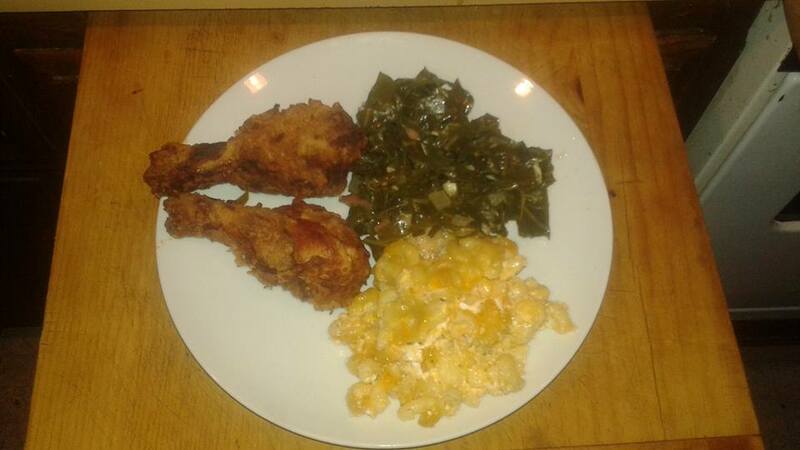 Take Mac and Cheese out of warm oven and it's time to plate up this soul food feast. A glass of sweet tea goes nicely with this meal. Happy Cooking. 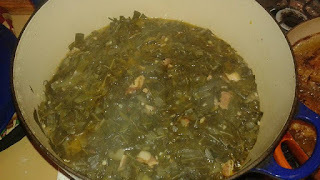 Email me pictures of your favorite soul food dish and I might feature it on my blog. I love comfort food. Pot roast is a great family dinner for a cool spring Sunday dinner. We recently had a spring snow which makes it even more comforting. A lot people say make pot roast in a crock pot but I prefer the old fashioned method of making it in the oven. 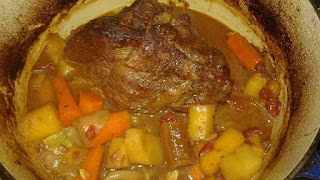 The texture of the roast is meatier and less sloppy than the crock pot version. 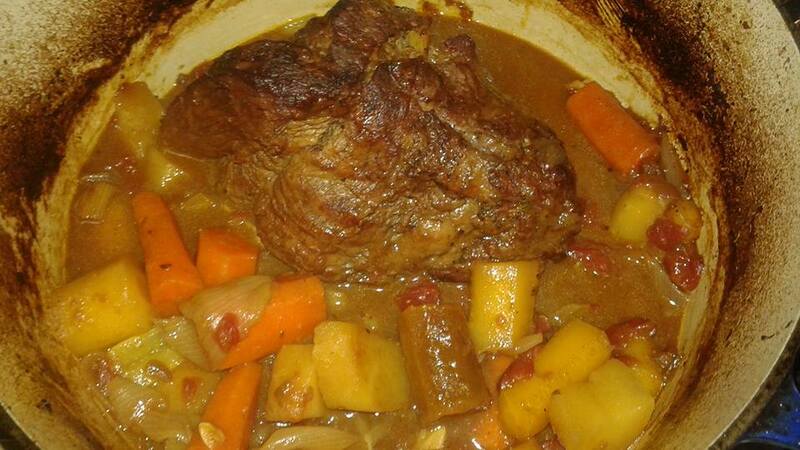 The flavor profile is more diverse when you make it in a dutch oven. I also like to use organic rainbow carrots; each color has a unique carrot taste. 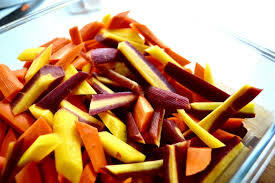 Take roast out of refrigerator, set on a plate, and allow to reach room temperature (about 20 minutes). 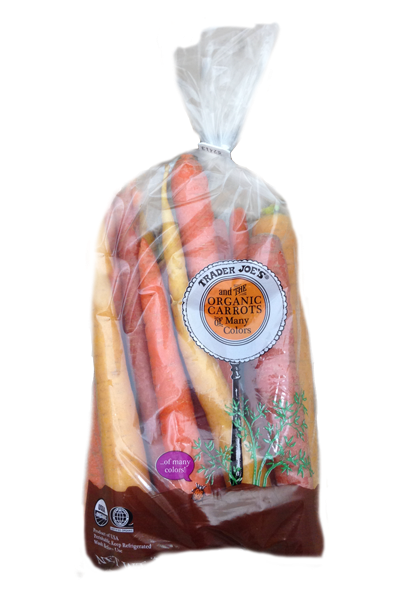 While roast comes to room temperature, prep the vegetables. 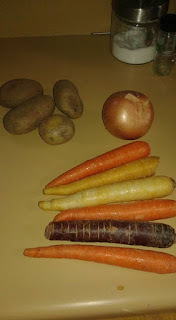 Peel skins off of onions, carrots, garlic and potatoes. 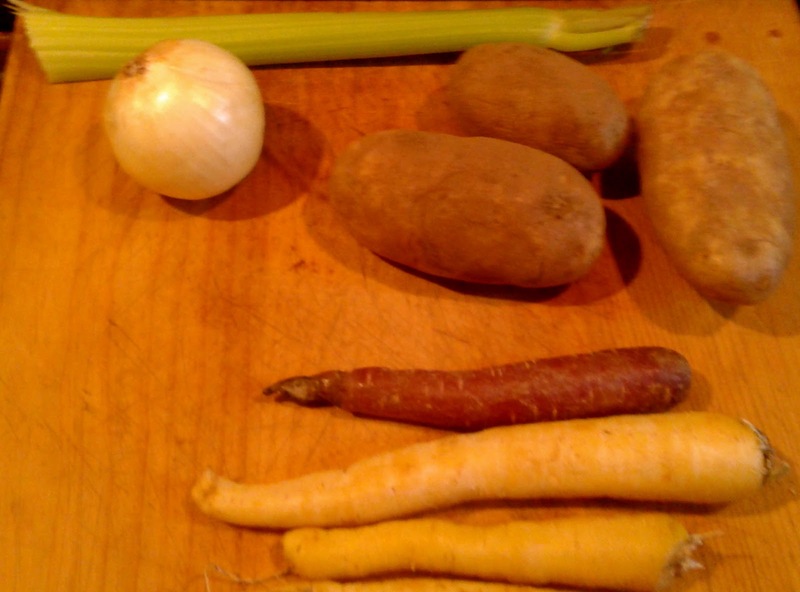 Cut onions, carrots, potatoes and celery into nice size pieces. Crush garlic and mince. Set aside. Once the roast reaches room temperature, pat it dry with a paper towel, season all over with salt and pepper. 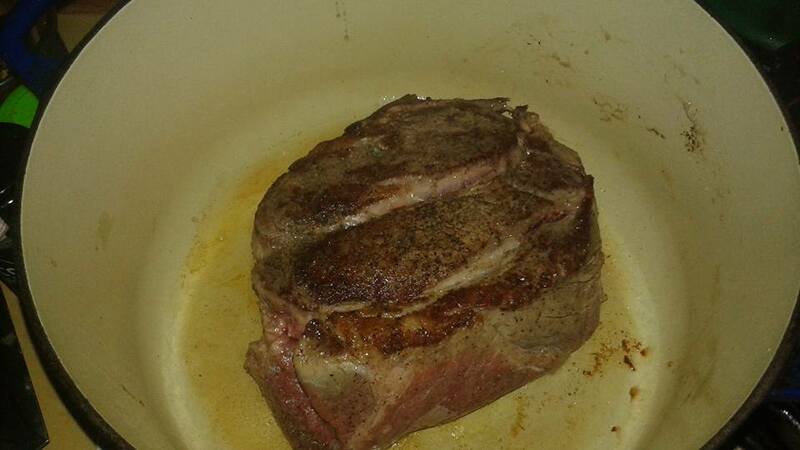 On stovetop, heat 1 tablespoon of olive oil in a dutch oven. Brown the roast on each side (about 5 minutes per side). Preheat oven to 350 degrees. 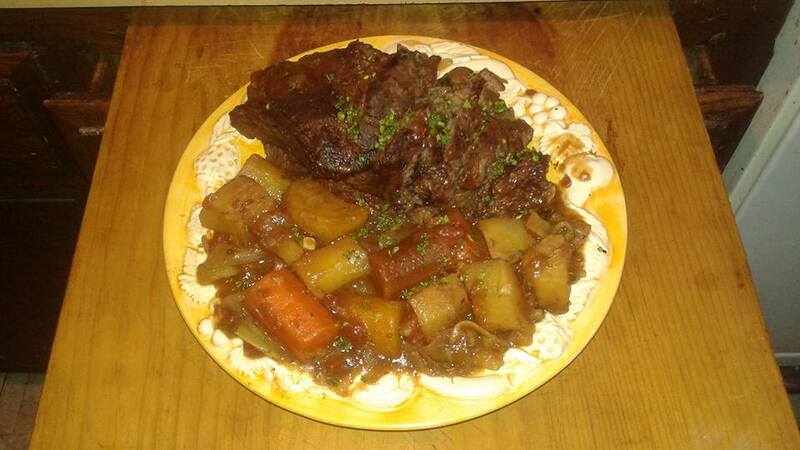 After pot roast has browned, remove from dutch oven and set aside on a plate. Add onions, carrots, celery and garlic to dutch oven, saute until tender. Add another tablespoon of olive oil, if needed. Add one cup of beef broth and scrap all of the tasty brown bits from the bottom of the pan. Return roast to dutch oven, simply place it on top of the veggies. Add remaining 2 cups of beef broth until it covers the roast, about halfway. 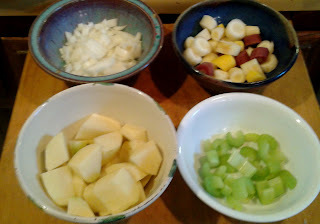 Add cubed and peeled potatoes to the dutch oven. Pour can of tomatoes over the roast. Season with thyme sprigs, salt and pepper. Roast in oven for 3 hours. Check every hour to make sure it doesn't dry out. Optional: Place a few tablespoons of butter on top of the roast for the last hour of cooking. 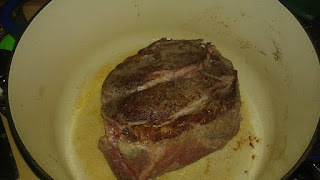 It keeps the meat moist and makes the gravy extra yummy. 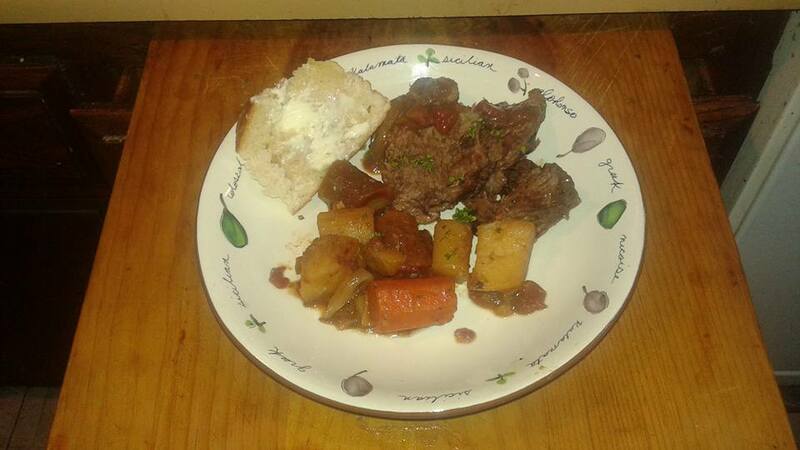 Remove roast from oven and return to plate. Garnish with fresh thyme. Let it rest for 15 minutes. 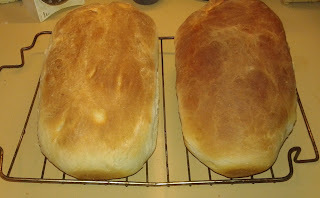 Amish white bread is a tasty, easy and fairly quick way to make homemade bread. 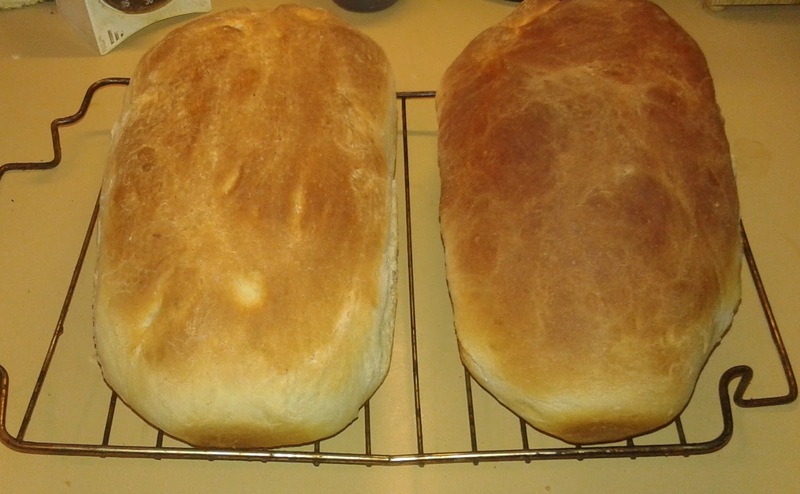 I like to make on the weekend, Saturday is best because this recipe makes two loaves. You have a loaf for both Saturday and Sunday night dinner. I paired it with beef stroganoff on Saturday and pot roast on Sunday. Put warm water and sugar into a large bowl. Stir to dissolve the sugar. Add active dry yeast and stir. 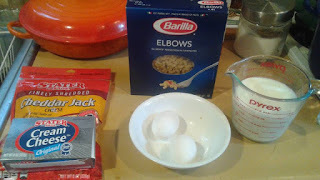 The mixture will start to form bubbles on top. The water must be 110 degrees for the yeast to bubble. Next mix salt and oil into the yeast mixture. Stir well. Next mix in flour, one cup at a time. In higher elevations (above 5000 feet), you may need to add an extra tablespoon of water. Stir well. There may be some loose flour in the bowl. Don't worry it will absorb when you knead the dough. Turn dough ball out onto a lightly floured surface. Knead well incorporating all the flour. Lightly oil a bowl. 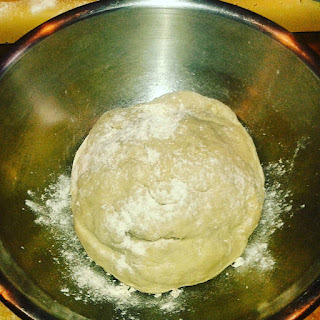 Place the dough ball into the bowl and coat all sides with the oil. Sprinkle with a little flour. Cover with a damp cloth and let rise in warm place for 1 hour. The dough will double in size. 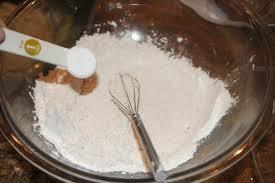 Remove from the bowl and place on floured surface. Punch it down, really punch, it fells good. 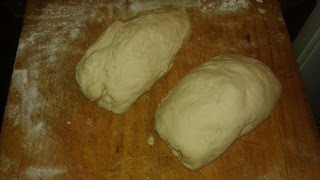 Then separate the dough into two equal portions. 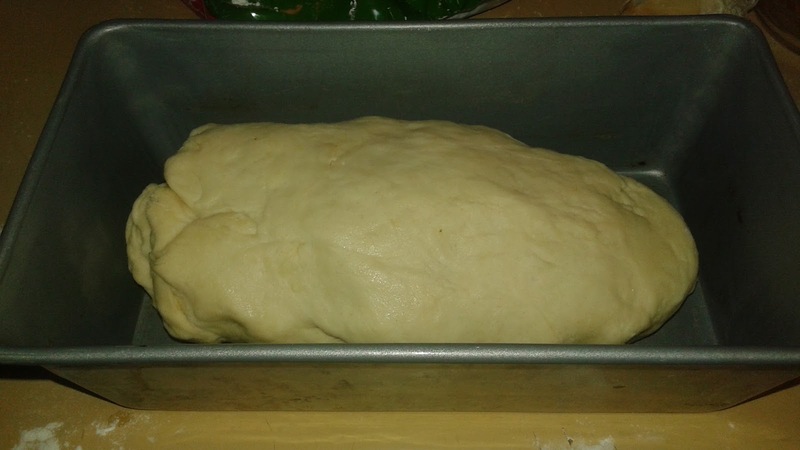 Place loaf in a 9"x5" well-oiled loaf pan and let rise for another 30 minutes. The dough should fill the pan. Preheat oven to 350 degrees and bake for 25 to 30 minutes (depending on elevation). Check at 25 minutes and if the bread looks golden brown then it's done. Remove bread from oven and loaf pan and then place bread on a rack to cool. Try to resist cutting into it right away but if you can't help yourself then do it. There's nothing better than oven hot bread with butter. I suggest baking one loaf at a time, for more even baking.